Have a delicious hot drink and a quick bite, to start-up your day! 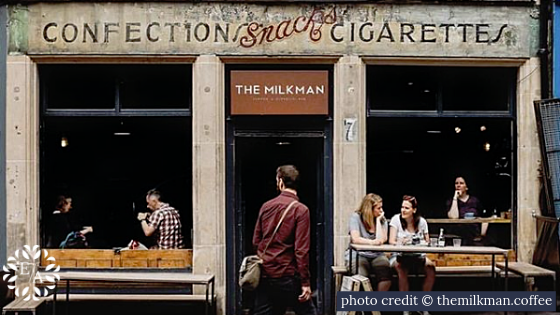 The Milkman is a wee coffee shop with some seriously good coffee, hot chocolate (my favourite), teas and cakes. 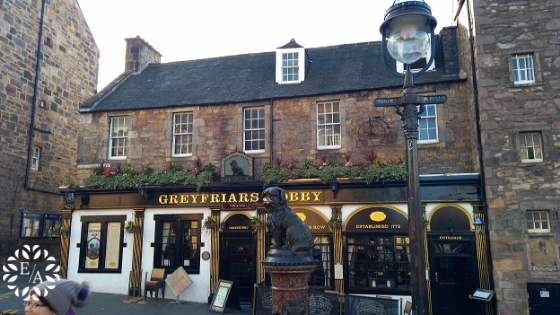 It is located in Cockburn Street, just off the Royal Mile, with a cosy and lovely atmosphere. A little heaven of simplicity! It only takes few minutes to walk through the close and you will be rewarded with a beautiful view of Princes Street. 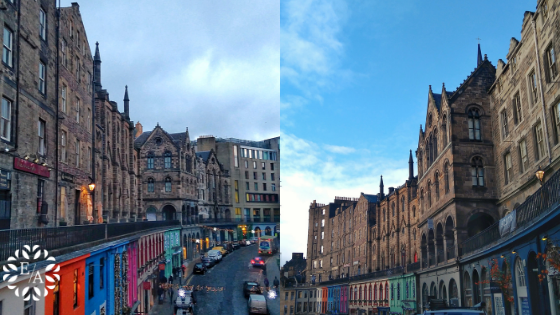 If you want to avoid climbing the numerous stairs, you can get there from the Royal Mile. Isn't it beautiful? 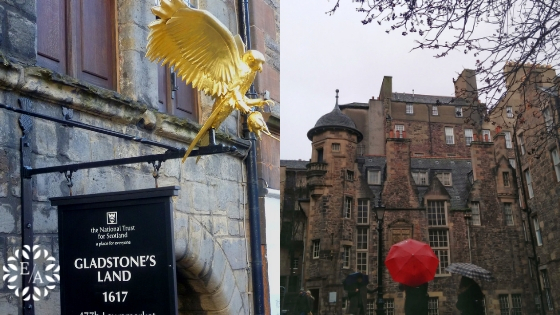 The two locations are very close to each other and are a great way to learn about Edinburgh's most influential writers and the city's history. Gladstone's Landing - One of Edinburgh's oldest homes, takes you back to the 17th century. Listen to incredible stories about the capital's past. Writers' Museum - Located in one of the most popular hidden square, this museum presents the lives and works of three of the foremost Scottish writers: Robert Burns, Walter Scott and Robert Louis Stevenson. I know, this charming corner of the Old Town is very popular, yet you cannot miss it! The colourful shops and lovely windows make it a must visit. The views from the terrace are stunning, and you can see the famous George Heriot's School, one of the locations that gave inspirations for Harry Potter's Hogwarts. Another well-know attraction but definitely a nice moment to see the iconic and faithful dog that everyone loves. Remember to leave his poor nose alone, to avoid it keeps on wearing away and he is left with no nose to sniff around! It's time to recharge before you head-out for more exploration! MUMS Great Comfort Food - This retro-style diner is a short walk from the Royal Mile. It serves traditional, hearty British food with vegetarian options. The staff is really friendly and kind.The food is really good! Perfect for warning up on a cold winter day. 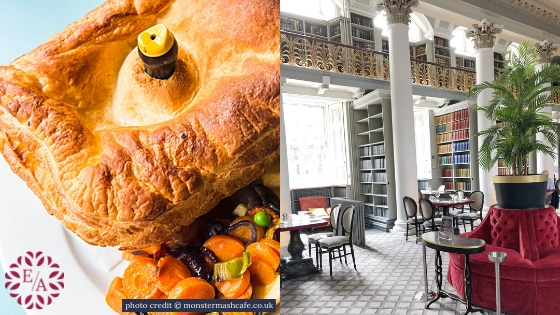 The Colonnades at the Signet Library - A unique venue with sumptuous and seasonal lunches. 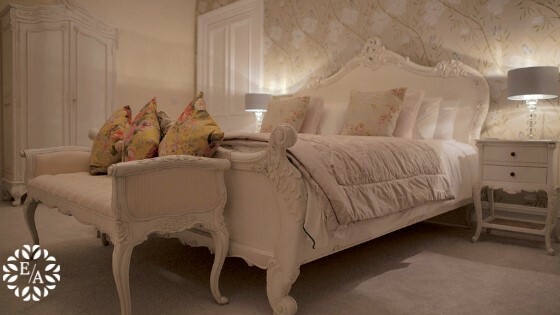 The location is simply stunning, from the decor to the atmosphere, a memorable experience for anyone who is in Edinburgh. Go for Lunch or Afternoon Tea and prepare to be amazed! These locations provide two distinctive experiences. The first venue is a multi-art complex, while the second one (as you might have guessed) features a vast anatomical exhibitions, ideal for the curious and the brave! 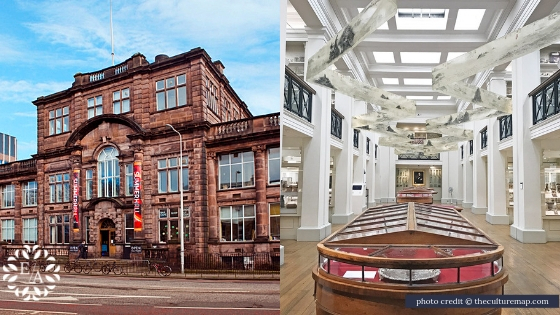 Summer Hall - A fantastic venue home to visual art exhibitions, concerts and much more. In the location you can visit the famous Pickering's Gin (learn more) and learn about Edinburgh's history of gin, visit Barney's Bee​ Brewery and have a few tipples in the local bars and pubs. The Surgeons' Hall Museums - Is famous for featuring the largest and most historic collections of surgical pathology in the world. The collection includes artefacts and works of art. Really fascinating! Edinburgh is home to many great restaurants and bars, but only few can give you a special experience. If you are looking for a great culinary experience then look no further! 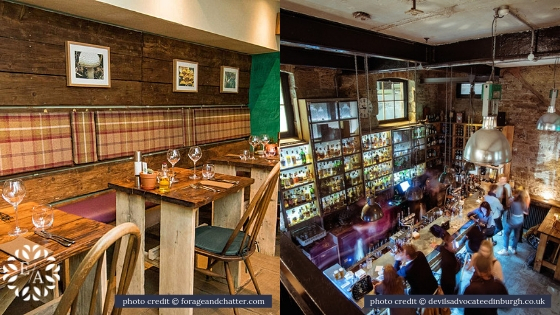 Forage & Chatter - A lovely place with great and romantic atmosphere and service. The menu features Scotland's natural bounty. Fantastic selection of vegetarian food, your taste buds will thank you! I suggest trying the lamb sweetbreads for starter and the wild Halibut as main. The Devil's Advocate - A fantastic wee bar tucked away in a cobbled lane. You will find a buzzing atmosphere, great food and an experienced and friendly bar staff. Ask them for any cocktail you want, you won't be disappointed! I recommend trying the steaks together with a dram of Whiskey. Also, I suggest you book in advance. The day is not over yet! In the evening, Edinburgh leaves behind the bright and loud atmosphere for a more sophisticated and sometimes spooky vibe. 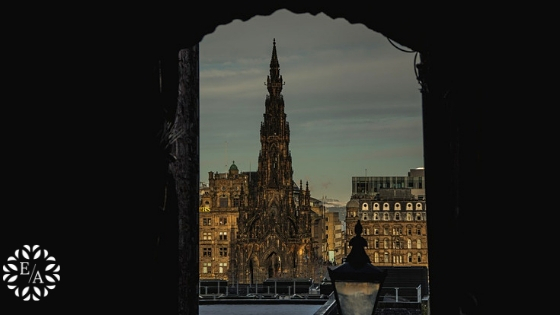 Mercat Ghost Tour - Begin the night with a storytelling tour of the dark closes and wynds of Edinburgh, then journey into the haunted streets and underground vaults. 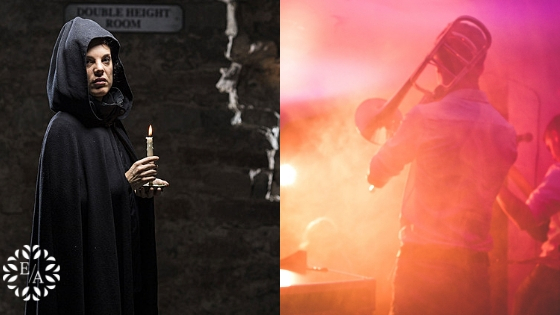 Finally, retire to a candlelit cellar for a dram of Scottish whisky and more storytelling! I highly recommend this experience. It showed me an Edinburgh I never knew existed. The Jazz Bar - A small and bustling bar with live music and great drinks. The atmosphere is fantastic for those whom love jazz or music in general. The Jazz Bar offers a unique experience, just make sure to get there early as it might get busy. Also, bring cash with you as you might need to pay to get in. It has been a long and exciting day in the beautiful Scottish capital. Now, it is time to relax in your home and think of all the things you have experienced. Enjoy some well-deserved rest.